Our 12+ years of successful practice is a result of our strong conviction in individual approach and dedication to building long-term relationships with our clients. We don’t believe in mass production and for us every single project is a unique opportunity to create flooring original in concept and character. “One plank at a time” is the core philosophy that dominates the culture in our organization. Our extensive experience in the industry equips us with necessary skills and knowledge to furnish and install wood flooring of unmatched excellence and beauty making Hayasa Flooring Design the premier choice among Bay Area's leading architects, general contractors and home builders. At Ark Hardwood Flooring, we are defined by our quality of work and our dedication to perfecting the techniques of quality craftsmanship. We delight our customers every step of the process by using only the finest materials, tools and artisans on our projects. Our customer testimonials speak to the level of quality that we strive for. From choosing samples to the install, the maintenance, and final care, we value open communication throughout the entire process. Your hardwood floors are an investment in your home, and by choosing Ark Hardwood Flooring, you are choosing the best! At Tamalpais Hardwood Floors, we are passionate about hardwood flooring. We love the wonderful variety of colors, grains, patterns and textures found in wood, and the way its beauty utterly transforms interiors. It takes knowledge and skill to select and install a hardwood floor that meets specific style preferences, site condition and performance requirements. We work closely with you to learn what inspires you, and what is appropriate for your lifestyle and home, beginning with an initial on-site consultation. We offer an extensive selection of hardwood flooring products and 25 years of experience of sourcing, installing and refinishing hardwood flooring to our customers. Our experience and product knowledge enable us to guide you through the many available options to a choice that will provide the best possible results for your project. Our skilled team of installers ensures that your new floor is installed quickly, professionally, and with minimal disruption. Menlo Flooring & Design is a family owned and operated flooring company, bringing over 20 years of experience servicing the Bay Area Peninsula. Our state-of-the-art showroom was designed to provide a user-friendly, comfortable, and easy-to-navigate process, providing a wide selection of flooring systems to accommodate all your needs. We serve individual home owners as well as trade professionals. We aim to provide good old-fashioned customer service and a professional staff to help guide you in designing flooring that you will absolutely love. Visit us and see for yourself! San Jose Hardwood Floors specializes in your hardwood flooring needs. With exceptional customer service and close attention to detail, each flooring project is completed by our qualified staff. Not sure what you want? Visit our new showroom! It uses the best of Silicon Valley, going above and beyond simply displaying your flooring and hardwood refinishing choices. The completely green space is the most technological showroom around, with free WiFi, cutting edge video monitors & LED lighting. San Jose Hardwood Floors has built its reputation on quality work, personal service and the good word of our customers. We pride ourselves on providing everyone the same great service, whether you've been a customer for 18 minutes or 18 years. *Authorized Armstrong Dealer* We have moved to a new location. New address is 891 Laurelwood road, unit 101, Santa Clara, CA. Upon arrival you will notice a large selection of hardwood flooring; perhaps the largest in the San Francisco Bay Area. Because Kapriz specializes in hardwood flooring material we have the ability to show you several similar products. Our products range from highly affordable hardwoods and bamboo's to custom made to order wood floors. We have choices from $1.99 on up. We can also supply custom, wide plank, and reclaimed flooring, with every detail to your specifications, in a variety of species. As well as some very unique wine barrel and ship plank floors. Finishing services on or off site. If you can imagine it, we can make it! Baila Floors has over 20 years of professional experience installing floors throughout Northern California and the Bay Area. As a full-service flooring contractor, you can count on us for all of your residential and commercial floor installation needs. From Hardwood to Tile to Carpet and more – we do it all! We are proud of our flooring experience and the relationships we have formed with customers throughout Northern California over the years. Baila Floors has earned respectful name in the community and the floor covering industry by delivering excellent service, quality product and providing superior installation of flooring. If we don't have it in store, we will find the right product for you! Give us a call today for a free in-home estimate or drop by our showroom. Established in 1997. High quality products, low prices, and excellent service have made Concept Materials one of Northern California's most trusted distributors and installers of laminate, hardwood, and engineered flooring. After years of flawless work in the flooring business, Concept Materials'reputation for high quality dependability has earned the respect of several large construction firms--some of the most demanding customers there are. So whether you're a contractor, homeowner, or designer, you can trust Concept Materials for the highest quality workmanship and materials available anywhere and exacting attention to the smallest detail. Celebrating our 30th year in business! 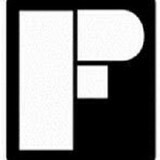 Precision Flooring is 7 years running Diamond Certified and 3 years running Mercury News Best in Silicon Valley! We offer a great showroom and specialize in professional installations for hardwood, carpet, laminate, vinyl, cork, bamboo and more! A family business since 1985, California Wood Floors built its reputation around two things: fine craftsmanship and our collaborative approach with architects and designers. We're team players who really listen to our clients. Because our company culture is one of mutual respect, integrity and humor, we work and play well together—and with others. There's a harmony people tell us they feel when we’re on the job, and that makes for good communication and great outcomes. Fine Floorz is a family owned and operated business, built on a foundation of integrity and excellent customer service. We understand that purchasing new flooring is a long term investment. There are many decisions that need to be made regarding flooring styles and installation procedures. Our goal is to assist you to find the best flooring solutions for your residential or commercial project. As a licensed contractor for floor covering by The State of California, Mitchell Barocio, along with his wife Laura, own Fine Floorz. They have been in the flooring business for over 23 years and serve clients around the entire greater San Francisco Bay Area. He answers questions via phone or e-mail and also provides in home free estimates. 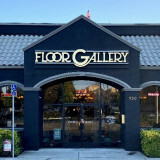 Voted Walnut Creek's #1 Flooring Store! Quality is our middle name. We hold a 2012 Talk of the Town Customer Satisfaction Award as well as many five star ratings on Yelp and we are also a Diamond Certified Company. Many customers come to us because of our commitment to personal care and product knowledge. We take the time to listen to the needs of our customers to meet your timeframe and project budget. Call or visit us today! We are 'Build It Green' certified, and most of the products we offer are made with non-formaldehyde adhesives and are certified by the Forest Stewardship Council (FSC)- the only certification of its kind supported by The Sierra Club, The Natural Resources Defense Council, Greenpeace, and The World Wildlife Fund. Crow’s Quality Flooring is a family owned and operated hardwood flooring business serving Santa Cruz and its surrounding areas since 2002. We pride ourselves on offering high-quality flooring services at competitive rates. We maintain integrity, high standards, strong work ethics, and reliability. You can be assured superior craftsmanship and attention to detail whether you are refinishing your original floor or installing a new one. We are dedicated to quality work and committed to customer satisfaction. 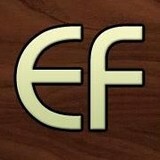 For more information about hardwood floors or to schedule your free consultation and estimate, please call or email us. Floorcoverings of Marin County, Inc.
We are hardwood flooring specialists with over 40 years experience of installations and finishing. We are woca oil specialists for well over a decade, and we source our hardwood flooring purchases direct to insure the absolute best pricing for the consumer. We offer hardwood flooring made to your specifications and offer all flooring options in our showroom. We learned everything from world war ll veterans, that a mans word is everything and service is paramount. We do not have a commissioned sales staff insuring the best pricing. We are here to service you no matter what your need may be. We are a family owned and operated business. What kinds of services do hardwood flooring installation professionals in Mountain View, CA provide? 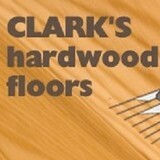 Find hardwood floor experts in Mountain View, CA on Houzz. Search the Professionals section for Mountain View, CA hardwood flooring installers and dealers or browse Mountain View, CA photos of completed installations and look for the professional’s contact information.